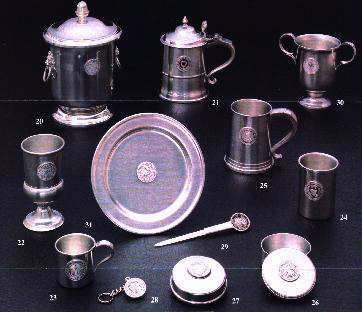 Commemoratives - Adams and Adams Inc. has carefully selected the pewter gift items featured here. Each item is made in the U.S.A. by skilled crafts people. Their pride and ability is clearly apparent in each piece. If for whatever reason you do not agree, simply return the item for a replacement or full refund. Your satisfaction is our primary concern.